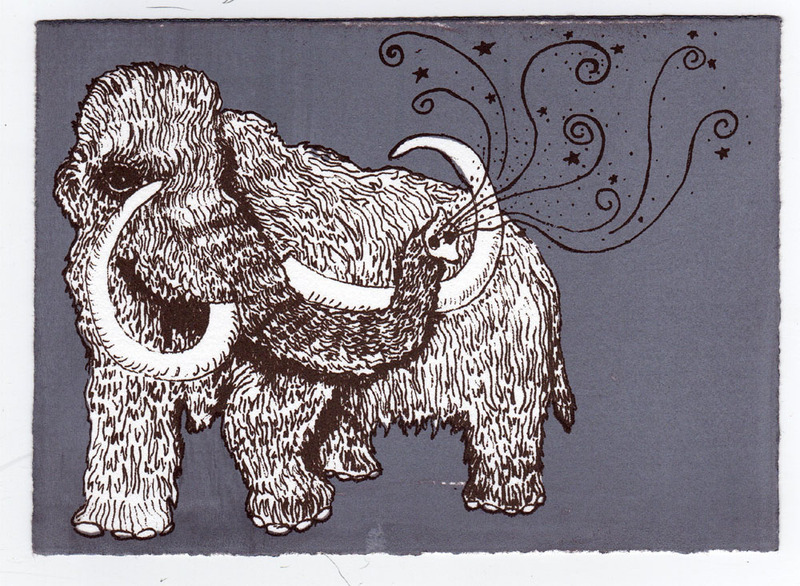 Within these prints, the ancient past is depicted through prehistoric animals interacting with a world gone wrong. Some are frustrated and react with anger colliding with elements of society. Some are more peaceful. A few seem almost content with their situation. These works are playful but confront the world’s current course of progress.